What it says is that there will be an interview with the game's director and producer (YamamotoD and KobaP), as well as information on four characters from the game, including the lead(s). There'll also be news about the 'boss' they'll be facing. Just a few more days to wait until we know more! The tickets for Busho Matsuri seem to be destined to sell out; a tweet from the official account has announced that the Sunday performance is completely sold out and they recommend buying quickly if fans want Saturday tickets. To sweeten the deal they've also posted information about the first wave of exclusive merchandise which can be obtained at Busho Matsuri. There are tote bags (red or blue) for ¥1,500 each, a beach towel for ¥3,000, a set of opera glasses for ¥1,500 and two character penlights (Masamune or Yukimura) for ¥2,000 each. The caricatures of the stage actors on the lights look hilarious. The previously-mentioned book should also be available. Capcom snuck another update onto their website just after I headed to work this morning. 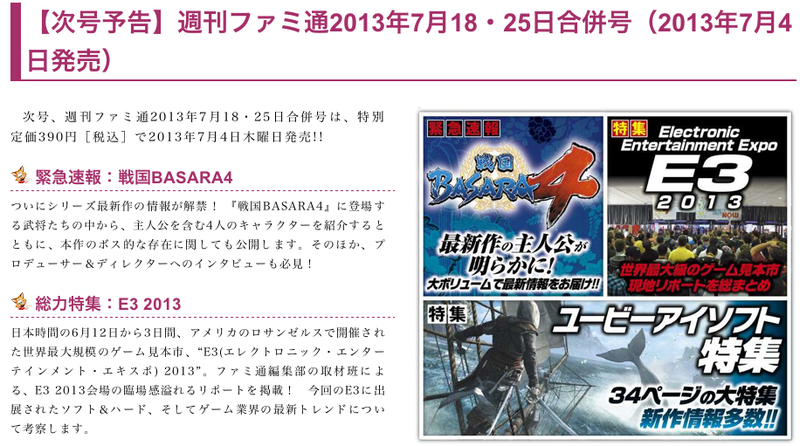 The Kyoto International Manga Anime Fair 2013 (Kyomaf) will take place at Miyako Messe from the 6th to the 8th September 2013, and Sengoku Basara will have its own booth! The post teases that more information about the booth's content will be revealed at a later date. This is only the second year that the event has been running so it's difficult to say how significant it will be. 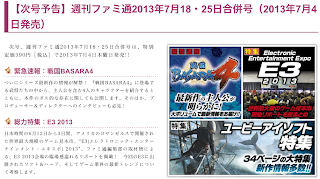 Sengoku Basara headlined two booths at this year's Tokyo International Anime Fair back before the new game was announced, after all, but both were selling existing merchandise from the series rather than promoting anything new. Looking at the list of other exhibitors there are plenty of older anime titles on display which aren't likely to receive revivals in the near future. Capcom could simply be taking advantage of their proximity to Kyoto to sell merchandise or showcase the numerous Sengoku Basara manga projects. Still, part of me is hoping for a new anime adaptation to tie in with the brand new game and fuel another wave of merchandise and excitement. The news has been taken up by a number of major websites; Gamer's coverage gives the best background information about Kyomaf itself. If anyone is in the area at the time, it's worth noting that foreigners can enter the event for free by presenting their passports!